– My Bachelor’s degree is not in Economics. Is it still possible to apply for your MSc in Economics program? Yes, of course. In fact, it might be a nice opportunity for you to change your work area and expand your potential employment opportunities. – Can I study without quitting my job? Yes, all classes are held in the evening (18: 00-21: 00) on weekdays and from 9 to 14:00 on Saturdays. Moreover, you will have fewer classes in the second year of the master’s program there are fewer classes, since you will be busy writing a thesis. – Do you take into account only mathematics and English exam scores? Do you consider publications and participation in conferences? General AUCA admission rule is to take mathematics (general school algebra) and English exams. However, you might provide additional relevant documents like publications during an interview with the Head of the Program to get higher financial aid. – I don’t remember calculus and macro / microeconomics, because I studied them a while ago. How hard will it be for me to get enrolled and then study? The knowledge of these subjects is not necessary to get enrolled, because general AUCA entrance exams ask for mathematics at the school level. 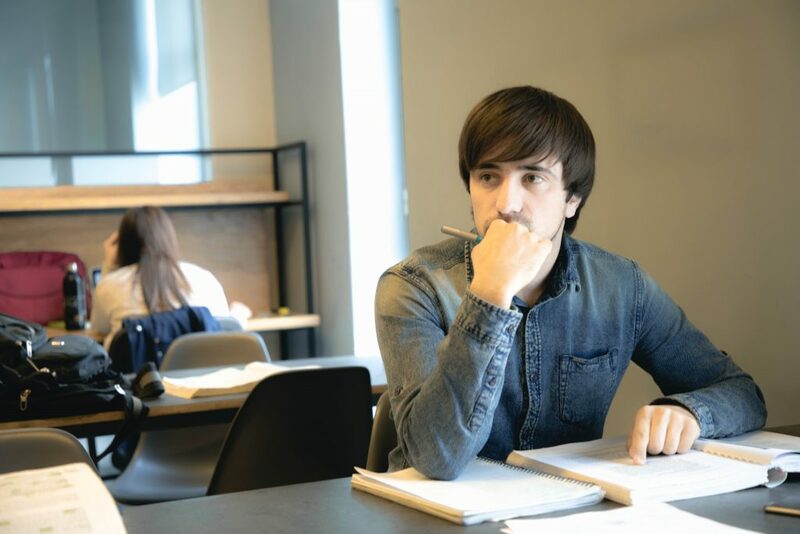 In the first year of the master’s course there will be subjects on mathematical analysis and micro / macroeconomics, so you won’t have problems with academic performance if you regularly attend classes and study hard. – I finished my Bachelor’s degree in another country, it was in English. Can I get exempted from entrance exams? If you have an official letter from the university stating that the language of instruction is English, you do not need to take the English language exam. You are also exempt from the entrance exam with an official TOEFL certificate (min. 480 PBT, 54 iBT) or IELTS (min. 5) certificate. For exemption from the entrance exam in mathematics, you need to have minimum scores in GRE (quantitative part, at least 140 out of 170). AUCA graduates do not need to take entrance exam in English and mathematics (if they took it when they entered the bachelor’s program) . – I heard that it is possible to study abroad, for a semester. How real is it? And which universities can I go to? What are the conditions for this? There are several types of exchange programs: on a grant basis and at the expense of the student. On a grant basis, students of the master’s program in economics study at the Norwegian University of Life Sciences near Oslo. In 2018, 7 students went to Norway under this program, currently (2019, spring semester) 4 master’s students study there. All expenses (including visa costs, air tickets, housing and food expenses) are covered by the program. To participate in this exchange program, you need an excellent academic performance and actively participate in research projects of the AUCA Economics faculty (as an assistant). Students can also participate in exchange programs where current expenses (accommodation, transportation, visa, etc.) are covered by the students themselves. They do not pay tuition fee in a foreign exchange university. The list of countries with partner universities where you can potentially go includes Poland, Germany, Turkey, South Korea, and the USA. – Can I enroll online or do I have to come to Bishkek for admission process? – Where do the graduates of the AUCA Economics program work after graduation? They work in research and analysis departments of government organizations, financial institutions, international organizations, academia, and private companies. Namely, they work in KPMG and other auditing companies, KICB, Demir bank and other commerical banks, Kumtor, National Bank and many other major financial institutions. Some graduates work in government agencies (Presidential Administration, Ministry of Economy), while others open their own businesses. Many go further to study and work abroad.